An overnight stop or a trip of a lifetime, a quality wash bag is an essential addition to your travel checklist. 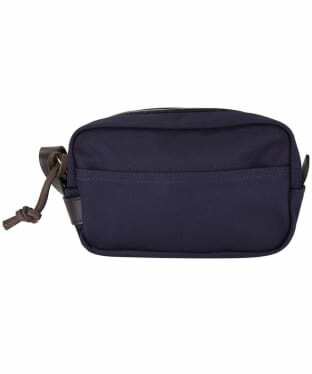 Men’s washbags keep all your washroom essentials close at hand and protect clothing from unwelcome spills. 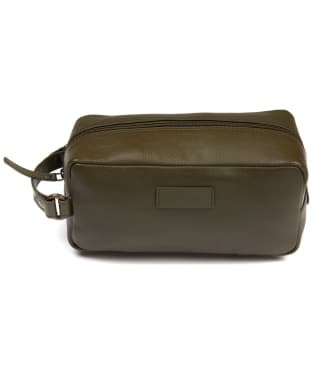 Our range of leather and canvas men’s wash bags make great gifts for that man in your life or equally self indulgent treats. The Barbour men’s leather washbag is crafted luxurious leather, whereas our Millican canvas washbag teams responsibly sourced materials with effortless style. 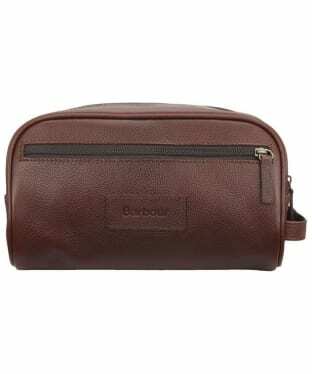 This Barbour Leather wash bag is made from a durable but soft leather and is available in either sophisticated black or traditional brown. The zipped Barbour bag features one external compartment for the convenient distribution of your essentials. The front of the bag has been detailed with the iconic Barbour logo, and also includes a carry handle for easy transportation. The Women's Joules Onboard Tweed Travel Bag provides ample space for all of those items that you need for that getaway! 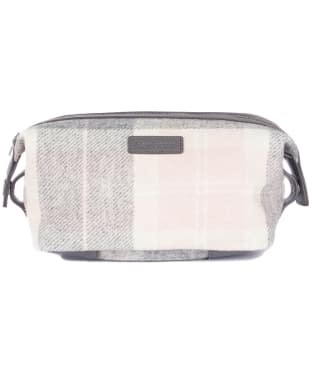 Practical and stylish, this beautiful tweed bag boasts a wipe clean bespoke printed lining so that you can pack it to the seams with your favourite toiletries and make up without worry. 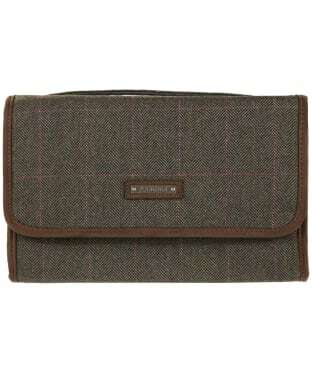 Pair with the Joules Paddington Tweed Weekend Bag to complete your on-trend travel collection. The Barbour Tartan Manicure Kit is ideal for keeping you groomed whilst on the move, small and compact this kit makes the perfect travel companion! 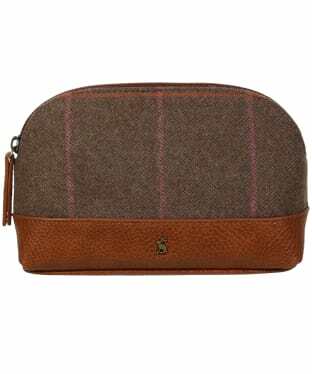 The knit is securely zipped away in a stylish Barbour Classic Tartan case; this is something you will never want to be without! Perfect for carrying all your toiletry essentials, the Barbour Mixed Tartan Washbag is ideal for taking on your travels. Made from a cotton blend with a leather trim, the washbag has been embossed in a combination of Barbour's tartan prints and features pockets and zip opening to keep all your essentials dry and clean. 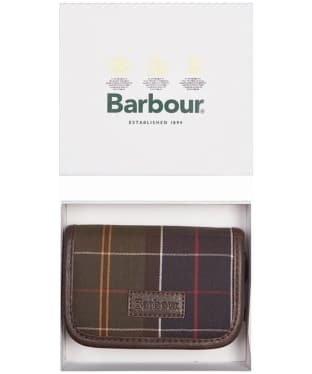 The leather handle and the Barbour logo give this item a luxurious finish and is the perfect treat for you or as a gift for that special someone. The perfect accessory for those days out or nights away, the Women's Joules Short Haul Tweed Bag is a small travel bag bursting with style! 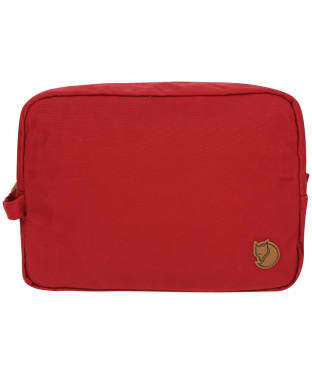 Featuring a main compartment with a zip top fasten, there is ample space for those small toiletries. Designed with a unique to Joules tweed, you can be sure that this bag will compliment your other Joules tweed accessories with ease. 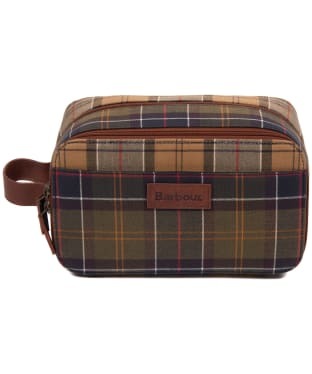 The Women's Barbour Tartan Wash Bag is a fabulous treat for yourself or a loved one. 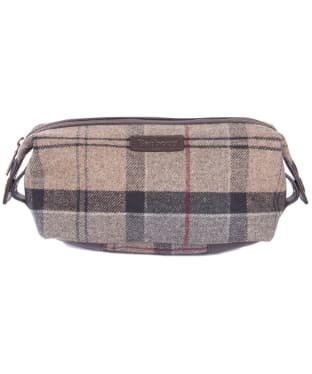 With a wool outer in Barbour's signature tartan, this luxurious wash bag features a large, expandable interior compartment, a zipped inner pocket and branded hardware. It's fully lined in cotton and finished with a leather Barbour badge to the outer front for that added mark of quality. 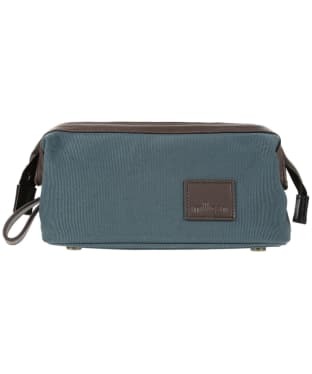 Perfect as a treat for yourself or a loved one, the Men's House of GANT Washbag has ample space to store all of your personal essentials whether you are packing for a trip away or simply staying closer to home. 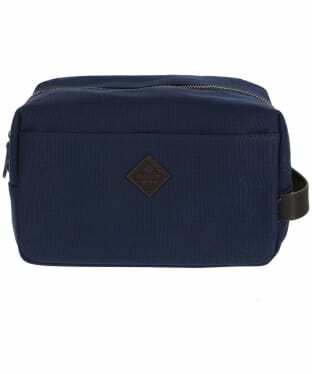 For a premium feel, this practical yet stylish wash bag is completed with a leather branded patch and grab handle. 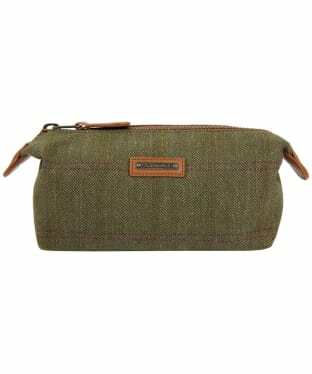 Perfect for the jet setting country lady, this Women's Schoffel Tweed Toiletry bag means you can always take a piece of the Great British countryside with you wherever you may be! 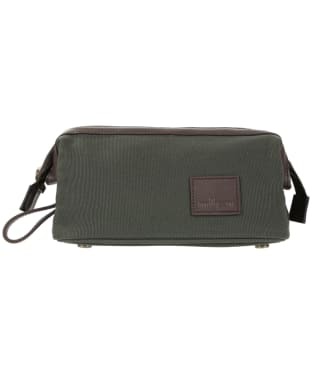 Crafted from 100% British milled lambswool tweed, this roomy wash bag features a Teflon® finish to reduce stains, as well as keeping your essentials safe from water, which is reinforced with a water resistant lining. Featuring 4 separate compartments in a range of sizes that fold up, there is ample space for all of your essentials. Finished with a Schoffel branding plate for that added mark of quality, this Schoffel bag will make a great gift for any stylish lady. 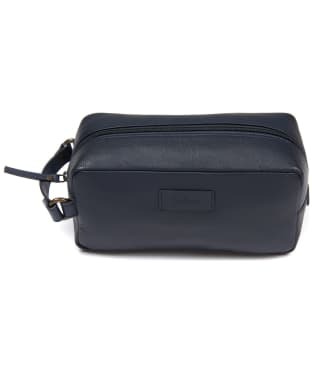 The perfect accessory for storing your essential items in style, the Men's Barbour Compact Leather Washbag has been crafted from 100% leather for that premium feel that you are sure to love. 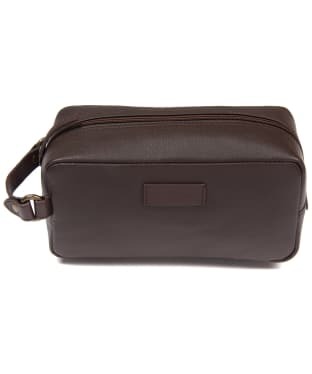 Whether you are heading on a trip abroad or staying closer to home, this Washbag has ample space, with the compact design meaning that it will pack in your bag with ease. 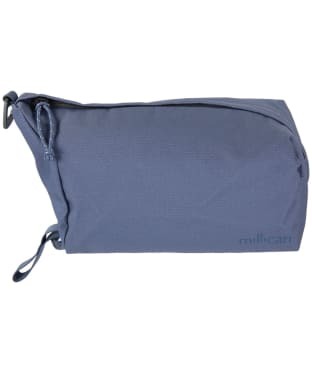 Keep all of your travel essentials safe and secure in the Millican Miles the Wash Bag – complete with a waterproof lining for easy cleaning, hygiene and to protect other items in your backpack, this handy little wash bag includes an internal zip pocket for organising your essentials and an aluminium hanging hook which is ideal for camping. 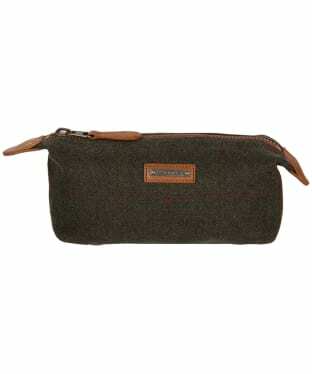 Pack up your essentials in the Men's Schöffel Tweed Wash Bag, featuring a moisture and stain resistant finish for a stylish yet durable wash bag. 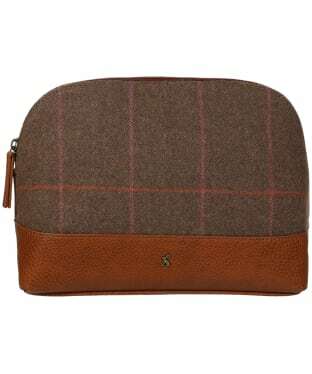 This stylish wash bag has been crafted from pure lambswool to offer you an added touch of luxury and durability. The water resistant lining is perfect for offering you added convenience, so there is need to worry about those pesky leaks! For an added touch of stylish detailing this wash bag has been finished with leather details and Schöffel branding. 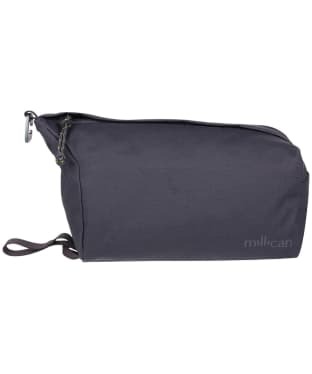 The Men's Alan Paine Canvas Wash Bag is the perfect companion for your next trip, weather travelling for work or play this wash bag has plenty of room for all your essentials. This stylish yet practical design folds out to a number of different compartment, ideal for keeping all those essentials organised whilst on the move. This wash bag features an antique brass hook on the inside, perfect for hanging your wash bag up close by, ready for you to grab whatever you may need. For an added touch of style this wash bag has been finished with Antique brass buckle fittings, leather trims and Alan Paine branding. 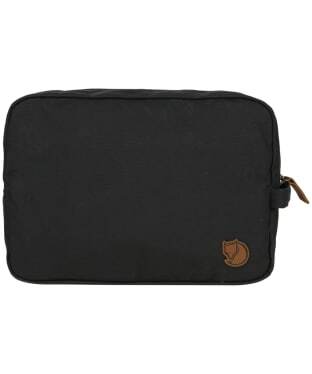 Pack up those essentials in style with the Fjallraven Large Gear Bag, perfect for keeping your gear in order, whether it is your repair equipment, electronics, clothes, or toiletries. 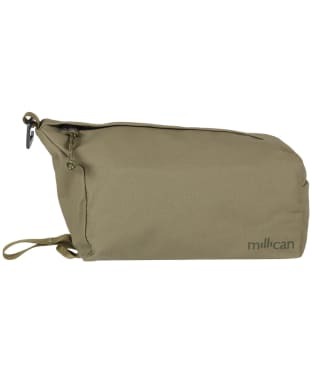 This gear bag features two compartments and a pocket ideal for keeping you organised. 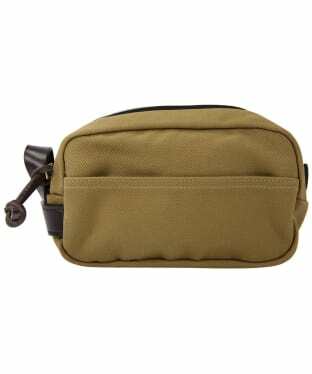 This gear bag has been crafted from durable, double-waxed G-1000® HeavyDuty Fjallraven fabric, which will protect the contents from getting wet or dirty. 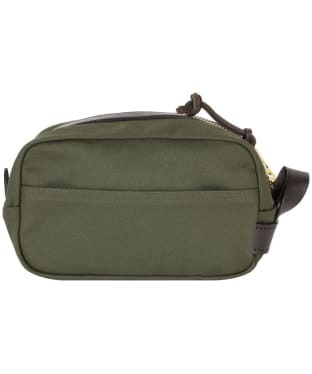 The ultimate travel companion, this travel kit from Filson, is the perfect present for someone special. 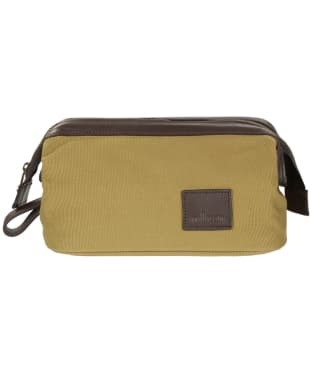 The high quality finish ensures that this Filson wash bag will protect all of your travel items whilst the two handy open pockets inside help you to stay organised whilst travelling. The inside of this travel kit bag is also fully lined with nylon, making it easy to clean. 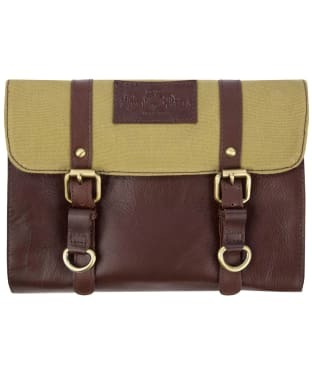 To stay stylish with your accessories choose the Filson travel kit. 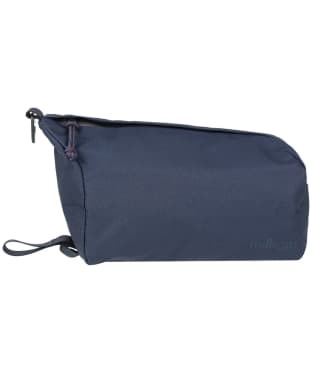 With an easy 'doctor's bag' inspired opening, waterproof lining and by adding multiple internal pockets Peter offers more than enough space for all your toiletries.